Illnesses such as Alzheimer’s and dementia have serious ramifications for the legal system, but courts differ on how to assess soundness of mind. Can the neurobiology of decision-making help distinguish between those able to make decisions and those who need protection? 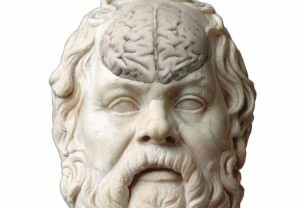 The long-range goal of the program on elderly capacity and the neuroscience of decision-making is to improve our understanding of the impact of aging on cognitive and behavioral change on a variety of decision-making tasks, as well as to devise standardized instruments and evaluative guidelines to assist judicial fact-finders in assessing these capacities. 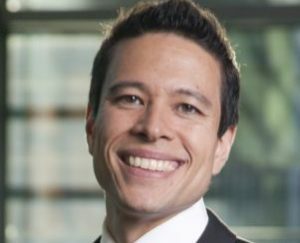 CLBB Welcomes New Senior Fellow in Law and Applied Neuroscience! 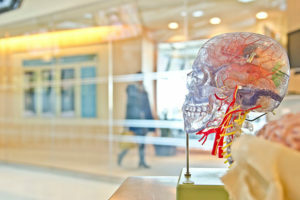 Neuroscientists are beginning to understand the structural and functional elements of the human brain which comprise memory and other intellectual functions. As with other brain functions, these processes are complex, interrelated and delicate. We no longer model intellectual capacities along simple input and output functions. Rather, we understand that human thought is the product of complex interactions between the portions of the brain responsible for sensation or movement, and the association cortices which integrate information for decision making and memory. These processes are vulnerable to interference or decay at many levels, whether as a function of time or of an intervening neurologic illness or injury. Discoveries regarding how we understand thought and memory have great implications for the legal system. In the Project on Memory, Cognitive Impairment and the Law, we concern ourselves with two central problems generated by these discoveries; mild cognitive impairment and decision making, and the treatment of memory in the courts. Many elderly citizens have dementing illnesses such as Alzheimer’s disease or multi infarct dementia, and will experience difficulties with decision making, even in early and sometimes pre-dementia states. 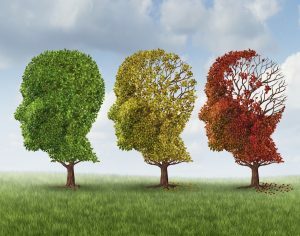 By the year 2050, Alzheimer’s disease is projected to affect between 11 and 16 million people in the United States, and this figure does not include other dementing illnesses such as trauma or stroke related dementias. In addition, accompanying neuropsychiatric changes such as agitation, depression and anxiety also affect decision-making. The cognitive deficits and emotional changes which accompany dementing illnesses have serious ramifications for the legal system, for example in making medical decisions, consenting to experimental treatments, entering into contractual arrangements, undertaking financial obligations, operating a motor vehicle or composing a last will and testament. Despite the growing magnitude of this problem, there is little uniformity of approach or outcome when courts attempt to assess an elderly person’s capacity to make such decisions. The research component of this project is already underway. Faculty members have initiated a large-scale literature review of the neurobiology and functional anatomy of decision-making, and are compiling descriptions and validity data on current neuropsychiatric instruments designed to measure decision-making capability. The goal of this initial research is to set the stage for the development of a new neuropsychological assessment tool which will be useful in the measurement of decision making capacity and undue influence in patients who already show signs of mild cognitive impairment. The next step of this project will involve the compilation and interpretation of applicable legal standards and their use in various decision making contexts. The long-range goal of the Program on Mild Cognitive Impairment and Decision Making Capacity is to improve our understanding of the impact of early cognitive and behavioral change on a variety of decision-making tasks, and devise standardized instruments and evaluative guidelines to assist judicial fact finders in assessing these capacities. Watch video from the “Capacity, Finances & the Elderly: Brain Science Meets the Law” event, featuring Drs. Rebecca Brendel, Ekaterina Pivovarova and Bruce Price, Hon. Susan Ricci, and Atty. Susan Stenger, moderated by Boston Globe health reporter Kay Lazar. When Frontotemporal Dementia Leads to Crime—Prosecution or Protection? The American Bank Association’s Bank Compliance magazine addresses the vital role banks play in the regulation of elder abuse, and how the law bears on bank–elder interactions.